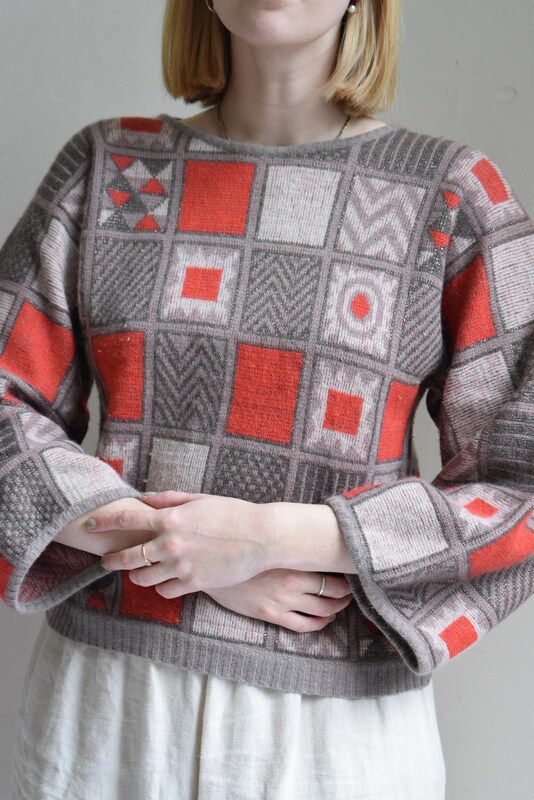 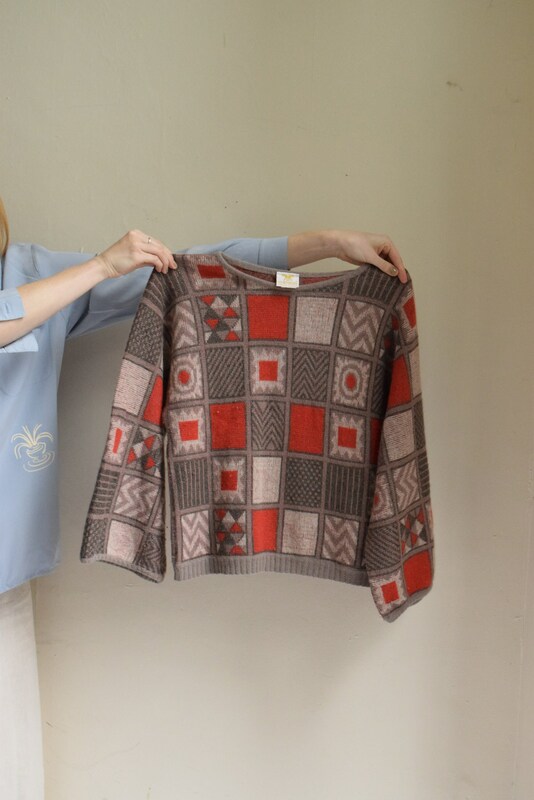 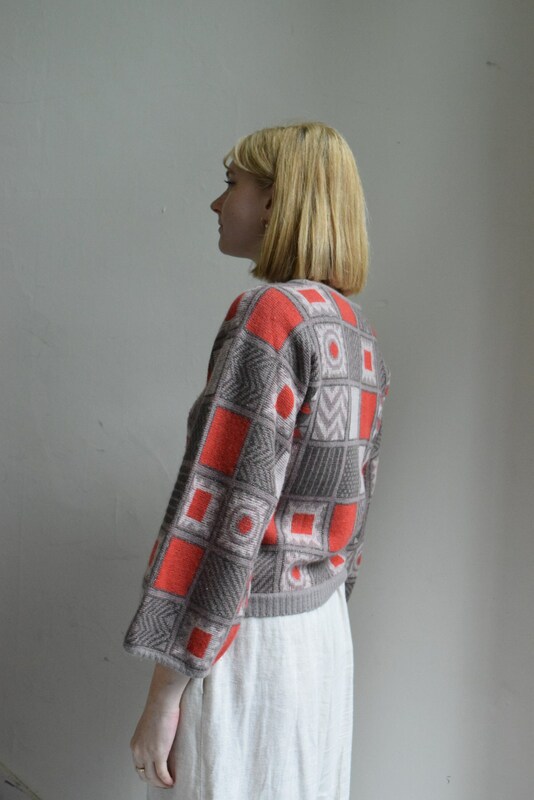 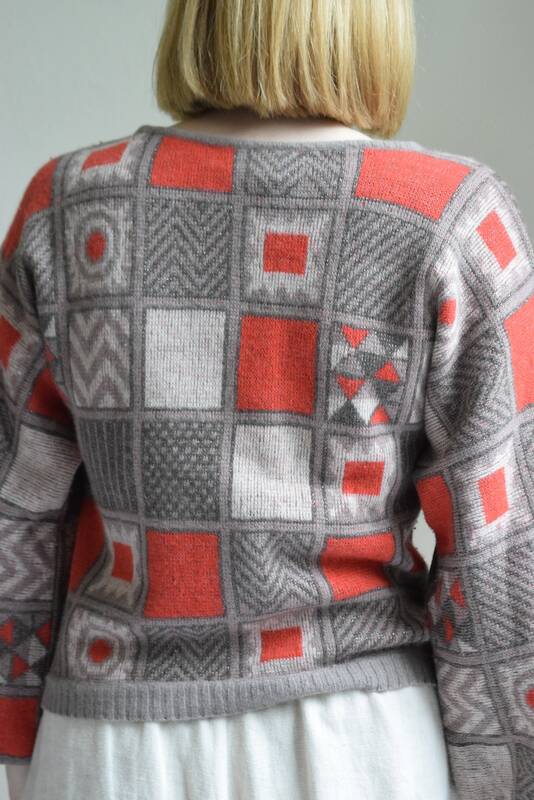 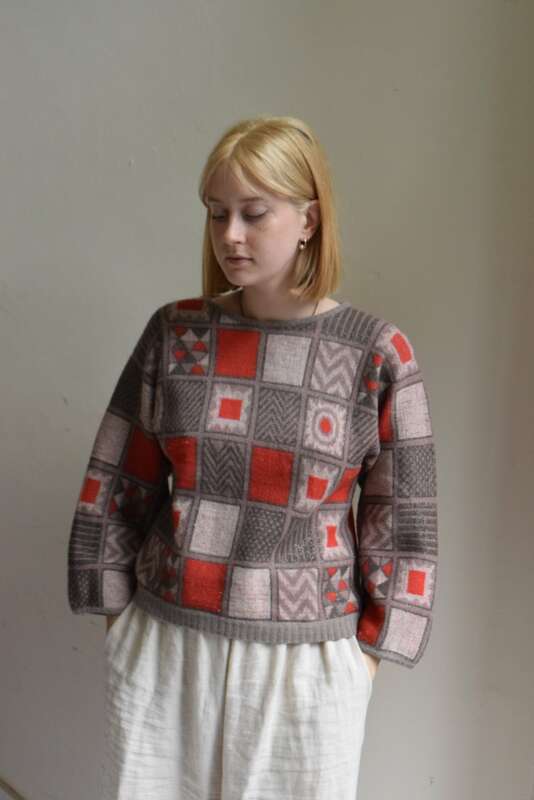 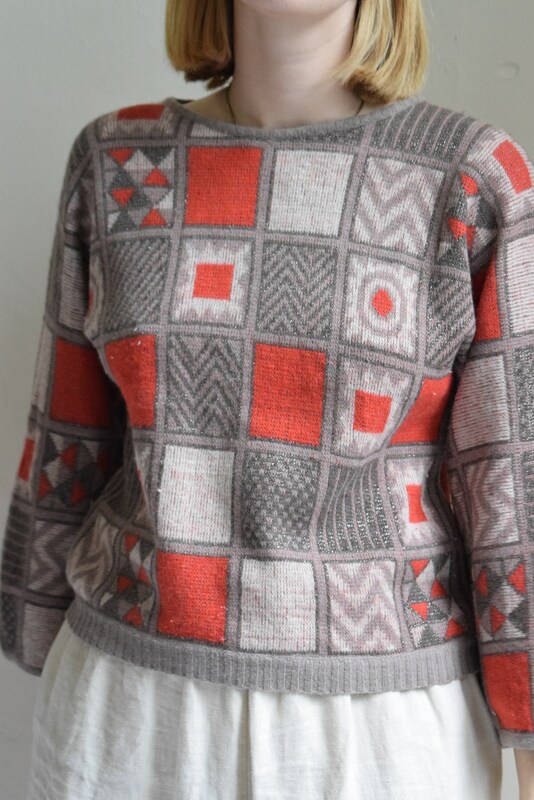 Long sleeve sweater in quilt-style patchwork pattern in reds and shades of muted browns. 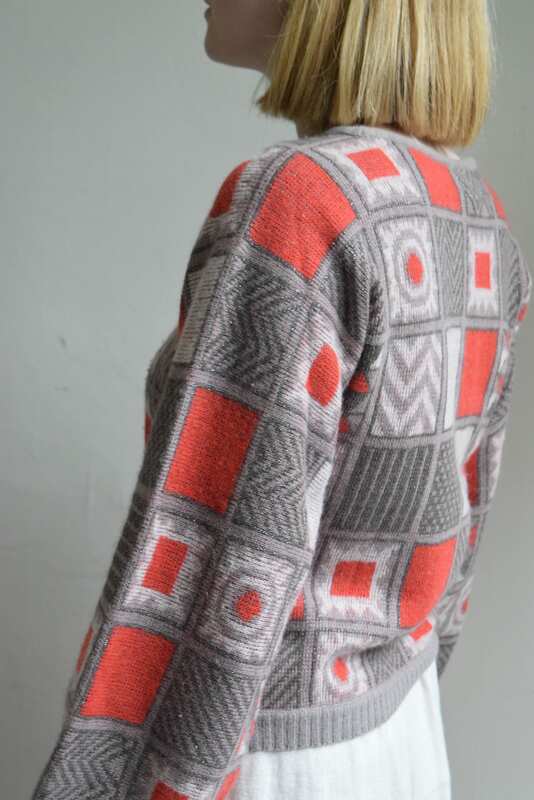 Fabric is medium weight and the sweater has a boxy, straight fit. 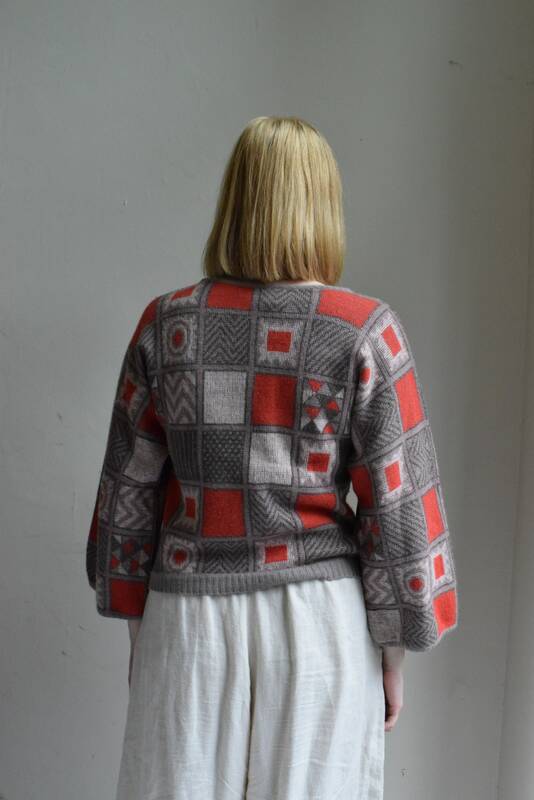 Neck width 10" || Sleeve length form neck 26" || Bust 38" || Hip/Waist 38" || Length from back of neck 21"